Are you counting down the days until you can upgrade your Windows 7 or 8 PC to Windows 10? You might need to exercise a little bit more patience. Microsoft will roll-out upgrades slowly, in waves. In a blog post, Windows Chief Terry Myerson said that Windows 10 upgrades will first go to "Windows Insiders," a group of 5 million people who have been testing out a preview version of Windows 10. After the "Insiders," Microsoft will begin notifying people who reserved copies of Windows 10 that they can upgrade, "slowly scaling up after July 29," Myerson said. If you already reserved a copy, your PC has been confirmed as compatible. 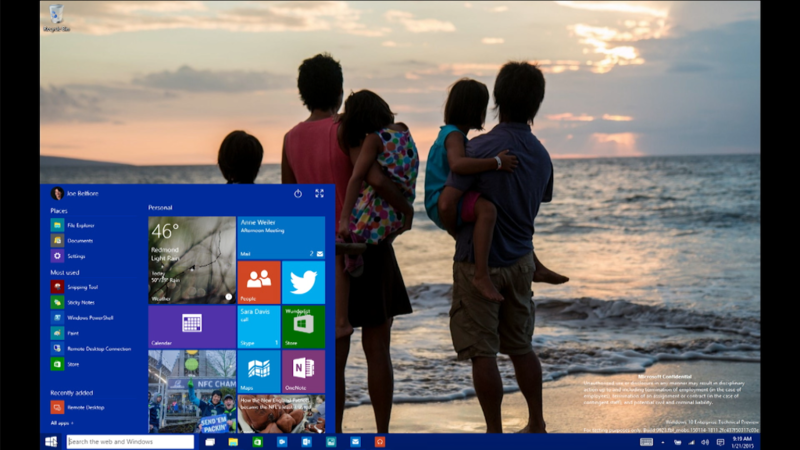 The slow roll-out is in part because Windows 10 is in very high demand. Microsoft expects 1 billion PCs to run Windows 10 in two to three years. "We want to make sure all of you have a great upgrade experience, so we'll roll-out Windows 10 in phases to help manage the demand," Myerson said. "We are humbled by your excitement and we can't wait to deliver Windows 10 to you soon." But the slow roll-out is also due to the need to test the millions of different PCs running Windows 7 and 8 for compatibility with Windows 10. Apple (AAPL) can roll out iOS updates in one day, because there are just a few different kinds of iPhones and iPads in existence. Windows PCs are practically as varied as snowflakes. Myerson said the "vast majority of Windows 7 and 8 PCs will be fully compatible with Windows 10. But the company hasn't finished testing. "We are not yet done, we will never be done," Myerson said. In addition to consumers, Microsoft announced that businesses and schools will be able to start upgrading to Windows 10 on August 1.